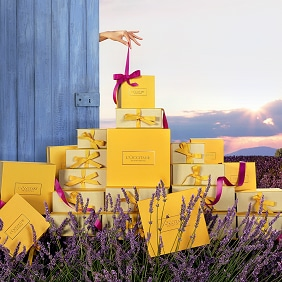 L'OCCITANE uses lavender that is exclusively sourced from farmers’ cooperatives on the Plateau de Sault in Haute-Provence. Its scent captures the soul of Provence, calming and soothing the senses. Our lavender products include fragrances, body lotions, shower gels, candles and essential oils.